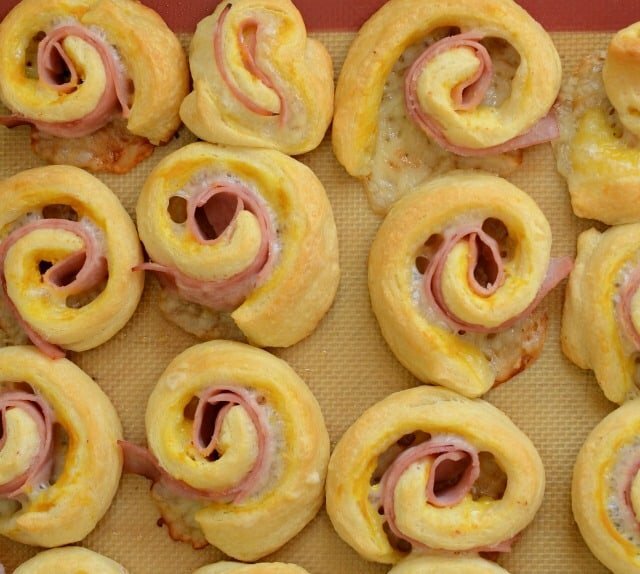 Ham and Cheese Pinwheels are a family favorite this time of year. They are quick and easy and perfect to take to a party or snack on while watching Elf. 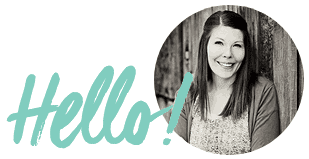 This recipe come from my dear friend Katie. I worked for Katie’s mom in high school at their family deli, but she was a few years older than me and I wouldn’t say that we were really friends then. I’m not even sure how it happened, but sometimes when we were both in college at BYU, we clicked and spent many hours together after that. Katie moved me into apartments, she drove me down to the middle of nowhere Southern Utah to work at a ranch the summer I met my husband, she was my bridesmaid when I married that boy I met at the ranch. We shared meals, birthdays, and so many days together. One day, Katie moved home to Indiana and I stayed in Utah. Time and distance aren’t easy on friendships, but there’s something that is bigger than both of those. It’s memories and the connection those memories have to tangible things. Katie and I shared a lot of food. We ate fajitas at Los Hermanos on our girls’ nights out, I made her banana cake for her birthday, and we made ham and cheese rolls in the middle of the night after long talking sessions, just because we could. 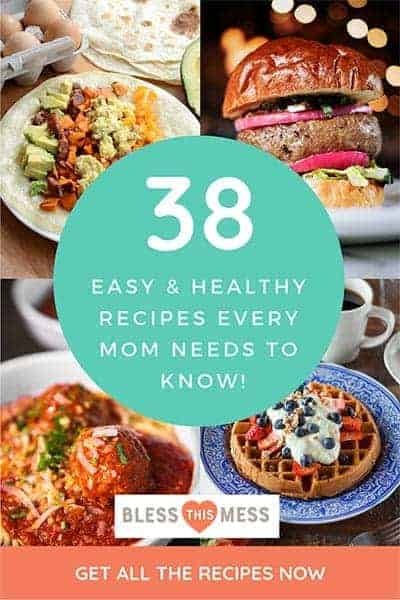 Hot ham and cheese pinwheels and cherry dump cake will forever be a “Katie recipes,” and I’m so pleased to pass this one along to you. 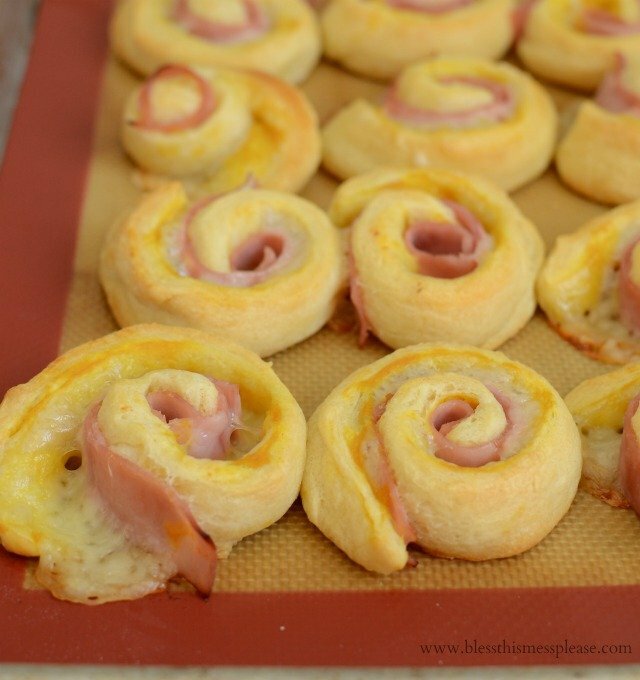 This is one of the few dishes I used canned crescent rolls for, but they sure make it a breeze to put together. Preheat the oven to 350 degrees and line a baking sheet with parchment paper or a baking mat. Open the crescent rolls and press the triangles together to make 2 rectangle pieces of dough (you can use the pictures above for visual reference). Spread 1 to 2 teaspoons of mustard on each piece of dough. 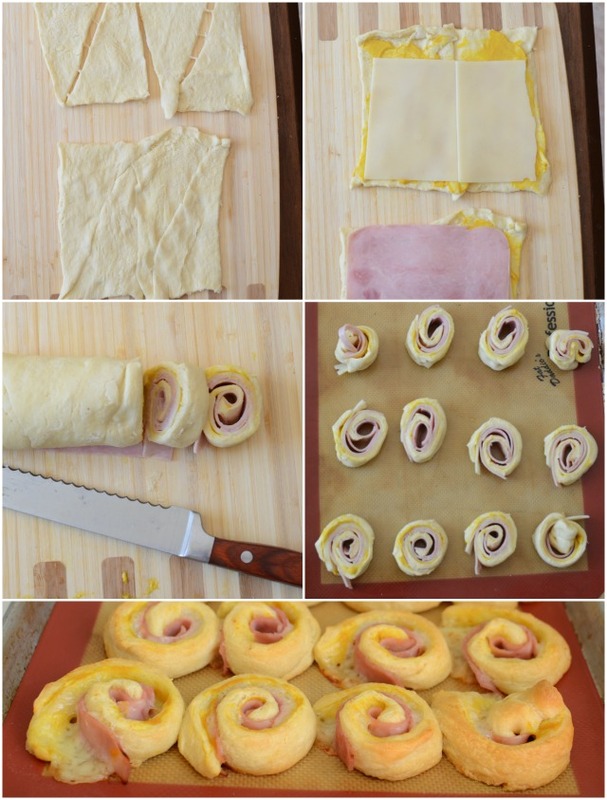 Cover the mustard with 2 pieces of ham and 2 pieces of cheese on each piece of dough (again the pictures are helpful if you need more direction). Roll the dough jellyroll style and then cut each dough log into 8 pieces using a sharp or serrated knife. Place the cut pinwheels on the baking sheet (like a cinnamon roll) about 2 inches apart. Repeat with the second piece of dough. Bake until the roll dough is golden brown, about 12 minutes. Enjoy hot and store any leftovers in the fridge. And our trip home for Thanksgiving was great, update coming soon. Those look amazing!! I imagine dipping them in a big bowl of hot tomato soup for a winter weekend lunch. Pinning! Wow! These sound delicious! I do something somewhat similar with crescent rolls, but stuff the dough with a chicken mixture, then bake and dip in marinara. Love these appetizer-type recipes! Hi Melissa, Do you know if these freeze well? I’d like to make ahead and thaw out a couple of hours before a party. Thanks! Hmmm. I haven’t done it but I do think they’d be a really good candidate for freezing and reheating. Do you have time to make a trial batch this weekend? Thank you Melissa and Happy New Year!